In Bukovina in Chernovtsy region there is the village of Migovo, framed by mountains and the river Migovka. Places here are truly spectacular, but this place is not only for lovers of beautiful scenery and fresh air. 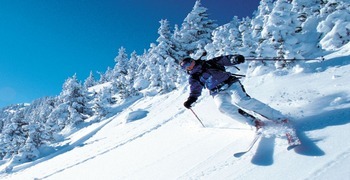 Migovo is a true paradise for those who are fond of green tourism, as well as for those who love and appreciate skiing. By visiting Migovo you will keep this place in your memories for a long time, you’ll kepp in mind these woods, the fresh pine air – it’s really delicious, these mountains and amazing scenery. On the mountain slopes there are ski runs that are equipped with lifts. It should be noted that on some routes there is special equipment that can create artificial snow cover, which attracts lovers of skiing, even when winter is not particularly indulge with snow. 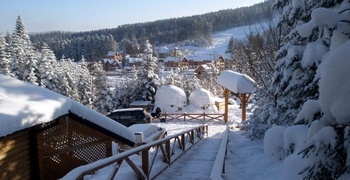 For this reason the ski season in Migovo can last much longer - even up to the beginning of spring, at the time when other resorts have no snow. Unexpected vagaries of nature are no longer a hindrance to the quality of rest in Migovo, and and that’s why freat number of tourists always come here at peak season. Winter sports enth usiasts are attracted to the highway Migovo that have different categories - professional, semiprofessional, and trails for beginners. st attractive for you - skiing or green tourism, you will fully enjoy spending time at Migovo and get the rest with extremely positive emotions.